The iPad is a device that is truly revolutionary in its scope. It is a masterpiece and the apps built for the iPad need to be worthy of the device. 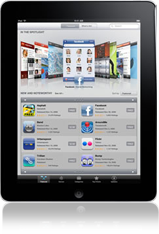 PerceptiveMobileApps excels at made-to-order iPad apps that fit perfectly within the iPad ethos. Our iPad applications are the absolute word in visual appeal, technical competency, usability, and constructive engagement. Our expertise in custom iPad web application development allows us to create category defining web apps for the iPad that have an enormous potential for triggering business growth. It is the detailed knowledge that our iPad app developers have of the iOS platform, which allows them to develop innovative applications that drive profits and enable our clients to get the competitive edge. Our iPad application development is built on three unshakeable pillars – thorough understanding of client needs and objectives, analysis of market competition and identification of target users and their preferences. This ensures the iPad web apps from PerceptiveMobileApps are custom built for success. iPad app developers at PerceptiveMobileApps also have a wealth of experience of developing customized iPhone and iPod applications. This, allows us to migrate existing iPhone/iPod app to an iPad app in a manner wherein the existing functionality of the app is not lost but is enhanced on the iPad platform. If you have a favorite iPhone or iPod application and you want to port it into an iPad app, PerceptiveMobileApps is definitely the right choice. 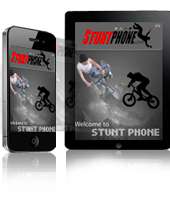 We ensure that your existing iPhone app is ported in its entirety without losing any of its efficiency. Our iPad application development process revolves around just one goal – enabling our clients to get the best out of the iPad. Our porting solutions guarantee the seamless migration of any and every web application into an iPad app. We strive to ensure that the ported web application is able to add to its efficiency by combining its existing functionality with that of the iPad to deliver the kind of solution that enables our clients to surge ahead of their competitors. At PerceptiveMobileApps, your web applications are ported into iPad application with reliability, borne out of experience and expertise. The iPad is a gaming platform par excellence and we have a team of extremely enthusiastic iPad app developers that know what works and what doesn’t for the ardent iPad gamer. They have the ability to develop the kind of app that makes the best use of the amazing gaming environment provided by the iPad. We have knowledge about the gaming market and the technical expertise that can help develop the best iPad games. 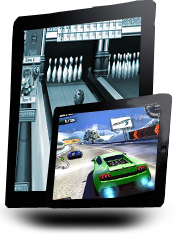 PerceptiveMobileApps develops iPad games that tempt interest and engage. These three qualities are the build blocks of every popular gaming app. PerceptiveMobileApps loves all things iPad and this is why we can make excellent use of the iOS platform to make superlative iPad apps. We strive to offer a memorable experience to end users, with our iPad apps.